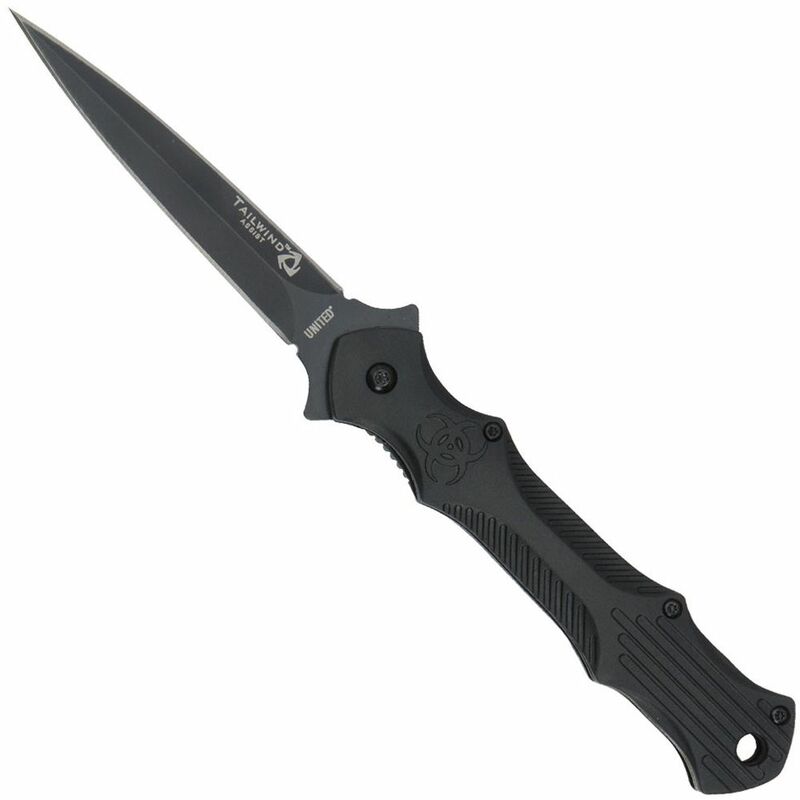 This Tailwind Assisted-Open Urban Tactical stiletto is the ultimate personal protection knife. The 3-1/2" 7CR13 stainless steel blade is razor sharp and the slim profile of this stiletto fits undetected in a pocket or pack and offers a sturdy stainless steel clip to hold it in place. The lightning-fast Tailwind assisted-open mechanism is activated by pressing the blade spur on the back of the blade. The rugged injection-molded nylon handles feel great in your hand.